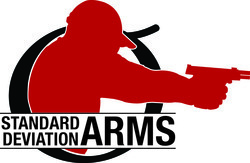 Gift certificates are good for online purchases through Standard Deviation Arms. Gift Card is good for all items other than training classes, there will be a 3% surcharge added to the order if placed by phone. Coupon Codes not valid for purchase of gift card. Gift certificate will be emailed to buyer, if other email is preferred please include it in the purchasing notes.